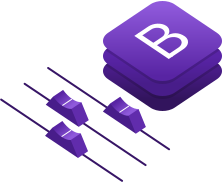 N1ED is a smart visual text editor based on CKEditor that allows you to easily make beautiful responsive content for your website with Bootstrap 4 support. N1ED makes any content you already have on your website responsive make it match Bootstrap 4 layout standards automatically. Your website is ready to integrate with N1ED. We have modules for popular CMSs. Custom frameworks can download N1ED from our CDN using certain code. The widget library gets regular updates, so you can create variable content easily. Upload and edit images, search and embed YouTube videos, add illustrations using Font Awesome icons, and many more. All settings are available in your private space at our website - N1ED Dashboard. All options are visual, and they apply to the editor on your website instantly upon saving. You can configure websites individually or share settings profile between them. N1ED editor has a powerful API and can be easily integrated with all popular CMS and frameworks or any custom system. Start creating beautiful responsive content right now. Your content evolves with the web.